There have been a lot of new releases in the past few weeks. What tracks are resonating with you the most? 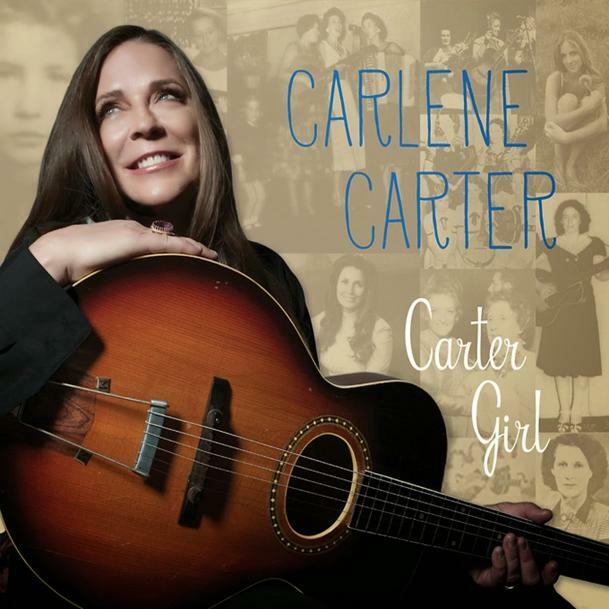 “Me and the Wildwood Rose” was always one of my favorite Carlene Carter tracks. Back when the original recording was released in 1990, it had a wistful nostalgia for the grandmother that she had lost. In 2014, all of the other folks mentioned in the song, including her little sister “the Wildwood Rose”, have also passed on. The new version is so heavy with grief, it is only Carter’s effervescent spirit that keeps it from being too heavy. Speaking of grief, Rodney Crowell’s “God I’m Missing You” is a gut-wrencher. Widows don’t often get the chance to speak in pure poetry: “Time stretches to shape you right out of thin air. But it can’t hold the image. If I blink, you’re not there. God I’m missing you.” For me, it’s the highlight of an excellent album, with his best songwriting since The Outsider. Lucinda Williams recorded it before him, and she does it well. So we still have to wait from some country lady besides Olivia Newton-John to fully embrace the murderess within her, but until then, the stunning harmonies and heartfelt vocal of Parton has newly minted this treasured classic. That’s what I’m listening to. What are you listening to? I’ve also been OBSESSED with “God I’m Missing You.” It’s a masterpiece and just a perfect song through and through. “The Flyboy & The Kid” and “Grandma Loved That Old Man” are also favorites, but “God I’m Missing You” is my favorite track on the whole project. I’ve also been really enjoying Radney Foster’s new album, Everything I Should’ve Said, particularly “Whose Heart You Wreck” and “California.” “Mine Until The Morning” and “The Man You Want” are great, too. So much great music has been released so far this year! The Rodney Crowell and Carlene Carter albums are great and I still need to listen to the Dolly Parton album. My favorites from the Rodney Crowell album are probably The Fly Boy and the Kid (Written about Guy Clark, I believe) and Oh What a Beautiful World. God I’m Missing you is great too. Jonathan mentioned the Radney Foster album and I’ll have to second that! My favorite song is “Not in My House.” It has a classic Radney Foster sound with a message that resonates with me these days. It totally hits my sweet spot too. Rose Cash, The River and the Thread; Jason Eady, Daylight and Dark; Suzy Bogguss, Lucky; Nickel Creek, A Dotted Line; Marty Stuart, The Gospel Music of Marty Stuart and His Fabulous Superlatives. Leeann’s right. So far, this year is full of excellent country music. I look forward to hearing these three albums. Currently, I’m listening to Sturgill Simpson’s Metamodern Sounds in Country Music and Johnny Cash’s Out Among the Stars. I want to like Sturgill Simpson more than I do considering all the buzz that he’s gotten from people whose tastes I respect a lot, but the reverb/echo on the vocals are more than I can handle. I can tell that the songs are good and the production is killer, but I’ve never been able to stand reverb and it’s pretty much another instrument on his two albums. I might be a suburban kid, but I’m really liking Sturgill Simpson’s album. But because I’m a suburban kid, I’m also really liking Dan + Shay’s album. The Jason Eady and Lydia Loveless albums released this year that I have gone back to the most. Digging the new Sturgill, Secret Sisters, Nickel Creek and Don Williams albums. Matt Woods released a really good album this week. “Deadman’s Blues” just rips your heart out every time. The music score soundtrack that British composer Steven Price provided to director Alfonso Cuaron’s 2013 sci-fi masterpiece GRAVITY. “Little Bird”, a previous unreleased a capella track (done in 2003) by Linda Ronstadt with bluegrass veteran Laurie Lewis, on Linda’s recently released Duets compilation album. “Little Bit Of Rain”, a track on Martina McBride’s new pop/soul classics album Everlasting. It is a Fred Neil composition from the mid-1960s that Martina remembers via a very early recording of it by Linda from 1967 (on Linda’s very first album, to be precise, while a member of the folk-rock trio The Stone Poneys). Strurgill Simpson’s “Metamodern Sounds in Country” Music is THE BEST thing out there today hands down. Well, as far as new artists go anyways. 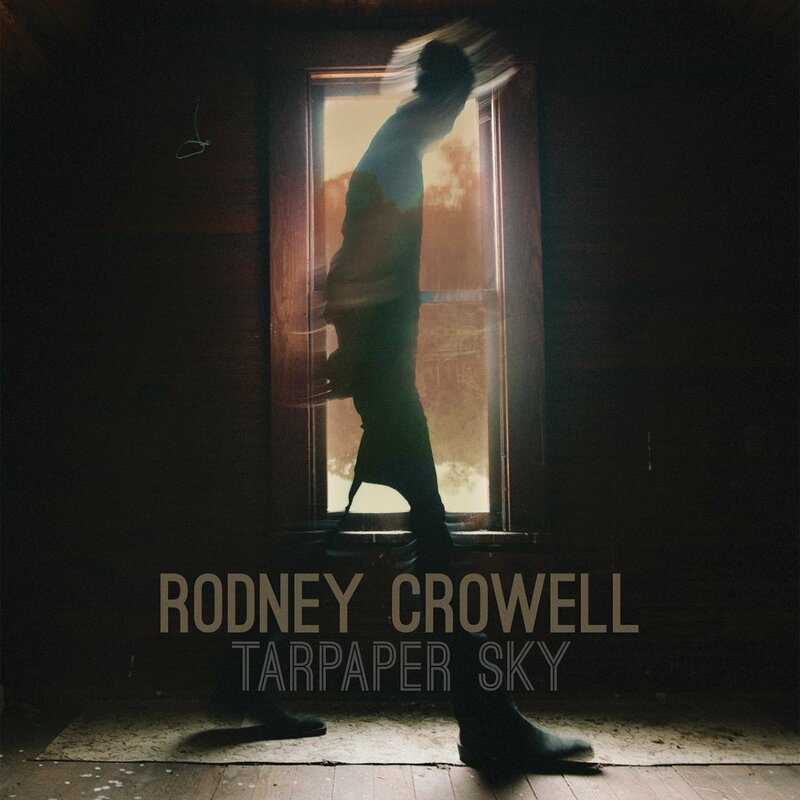 I’ve been listening to Rodney Crowell’s “Tarpaper Sky” as well. Off the new Simpsons album I’ve really been digging the song “Voices”. So far that has been my favorite cut off of the album. Love both “Tarpaper Sky” and “Carter Girl.” Also the country/soul/blues of Brigette De Meyer’s “Savannah Road” and the quiet, heartfelt “Childhood Home” album from Ben Harper and his mother, Ellen. All of these albums have a timeless quality. Agree with Leeann re: Sturgill. Love his meshing of tradition and contemporary quirkiness/vision. But his often slurred, half-uttered vocals weaken the songs’ effect on me. Gary Burr’s “Juggler’s Logic” – “It Gets Late Early” and “Still a Desperado”. All songs solely written by Gary. Most anticipated album – the first full length album from the duo Striking Matches(Sarah Zimmerman & Justin Davis) which will be produced by T-Bone Burnett and released this year. Saw them for the 4th time a few weeks ago. Love their 4 song EP. I think the Grand Ole Opry likes SM – they’ve already performed there 23 times. 2nd most anticipated – The 2nd album from Blue Sky Riders (Georgia Middleman, Gary Burr & Kenny Loggins), also to be released this year. Their debut cd, “Finally Home” was outstanding. I’ve been listening to Willie Nelson’s “Heroes” and “To All the Girls” a lot lately as well. Both were great albums of the last couple of years. I’ve been listening to a lot of Southeastern, been getting into Nickel Creek, and playing Joe Nichols’ “Yeah” way too often. I can’t help it. It’s catchy. Still listening to Dierks Bentley’s ‘Riser’. Just love it so much. I’m also liking Hunter Hayes’ album a fair bit. In terms of new releases I’ve also been listening to Jason Eady’s “Daylight and the Dark” as well as the Secret Sister’s “Put Your Needle Down”. lindi ortega played a new song when she toured over here: “ashes”. mindblowing new country. emmylou’s rendition of “spanish dancer” almost hurts, when listening to it. joey and rory’s album “his & hers” – bought for the price of a tall starbuck’s hazelnut cappuccino – what a bargain from the bargain bin! 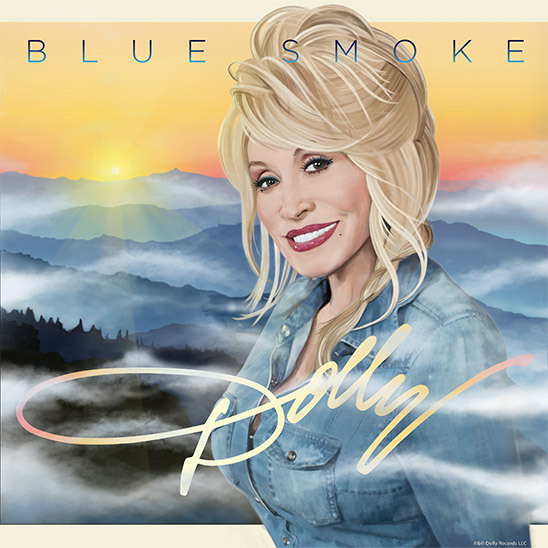 Just got Dolly’s Blue Smoke. Playing “Don’t Think Twice” over and over. Its great! The soundtrack scores to two films from 1971, the Michael Winner-directed psychological Western LAWMAN, and director Sam Peckinpah’s controversial and extremely disturbing psychological horror film STRAW DOGS. Both scores were composed by Jerry Fielding, who, after John Williams and Jerry Goldsmith, is my favorite composer in the film music genre, and perhaps the most underappreciated ever in this particular field (IMHO).